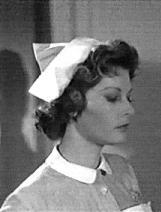 Well here's a pleasant surprise. 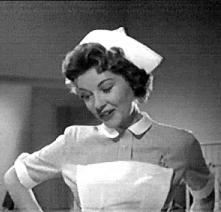 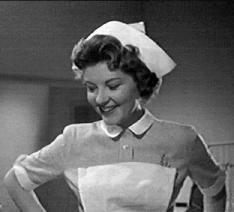 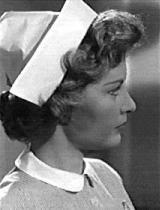 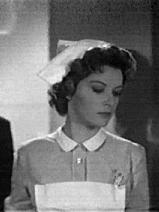 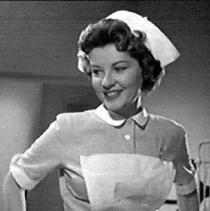 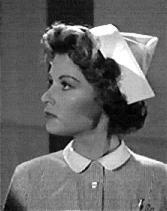 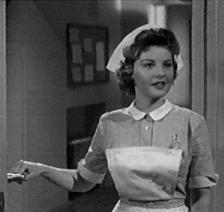 I videoed the 1956 British thriller 'Town on Trial' on the off chance, and was rewarded by these wonderful Nurse pics. 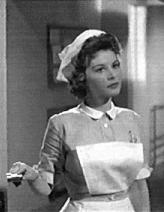 John Mills was the star, playing the detective investigating a murder in a quiet English country town, and Barbara Bates was Elizabeth Fenner, the American niece of the local doctor and a Nurse at the hospital. 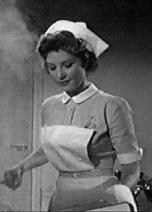 Somehow, between the red herrings and screaming children, she ends up snogging John Mills in the back of a police car. 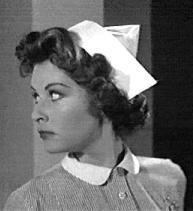 They get the murderer in the end. 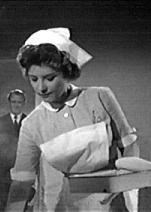 Nurse Elizabeth Fenner played by Barbara Bates, 'Town on Trial', UK 1957.